Medium size bird is a little smaller than a Robin. The brown is richer than in photos, almost rust color. 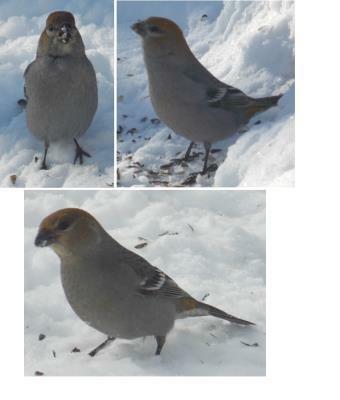 Near Selkirk MB, seen for 2 years now in Feb. Never earlier, Never later. 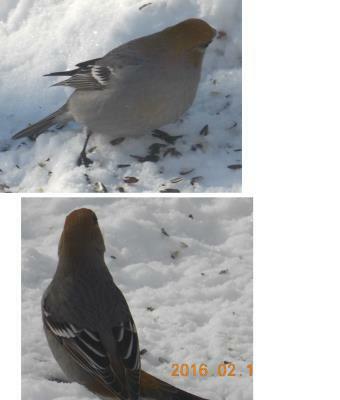 160 Pretty sure that's a Pine Grosbeak.